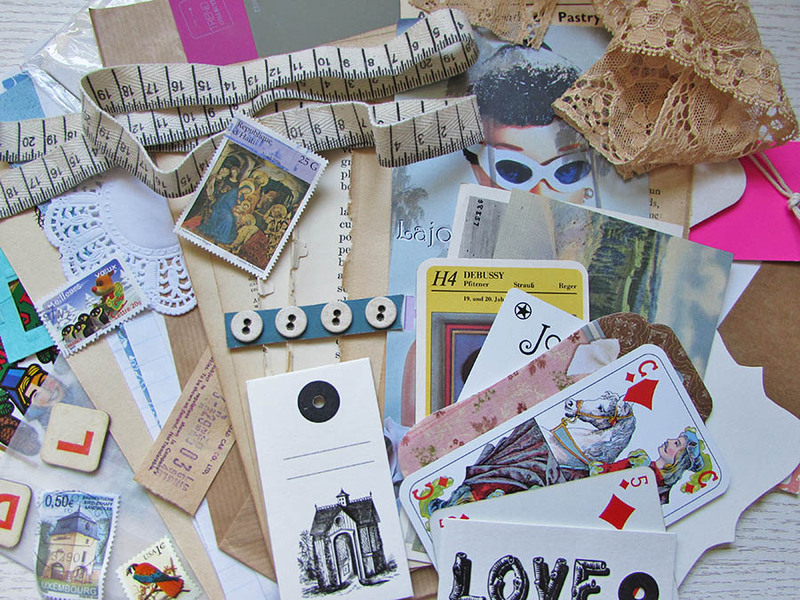 A pack of 50 elements for art journalling, junk journaling, scrapbooking, collage or assemblage. 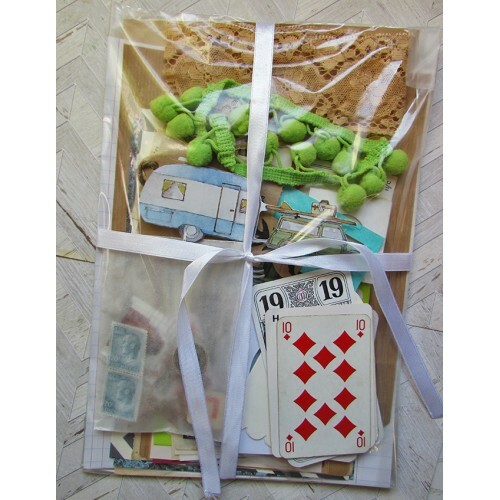 The items are all sourced from flea market stalls so the contents vary from pack to pack but each pack contains book pages, postcards or photos, labels or tags, game pieces, playing cards, lace or ribbon, stamps and other miscellaneous items. Each pack has been thoughtfully put together to give you a mixture of different elements. Use it to make your own junk journals for example or as collage elements in craft projects. As each pack is unique you may not get the exact elements shown in the photo but you will get a pack which is very similar.